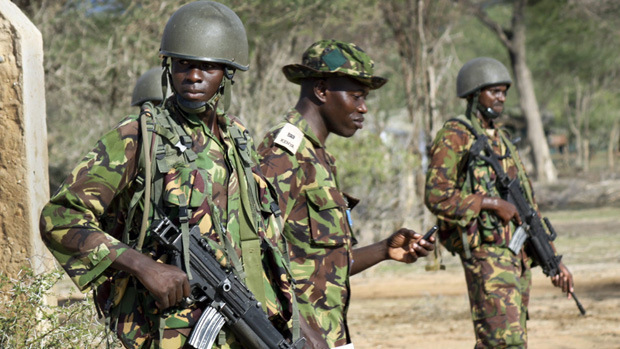 The United Nation has accused kenya defence forces of aiding illegal sugar business in the port of kismayu in Somalia. The port is currently controlled by the Kenya Defence Forces who have been there since 2012 after its capture from The al shabaab terrorist group. According to the UN Monitoring Group for Somalia and Eritrea, the trade is worth more than $800,000 (Sh81.8 million) annually. The KDF soldiers who are now under the AMISON control Sector Two, including the port of Kismayu, Gedo, Middle Juba and Lower Juba regions and are supported by the Somalia's Jubaland Administration forces. The authors of the report say that all checkpoints leading to Garissa from Kismayu are guarded by the Al Shabaab, who ensure that the sugar and other stuff are safely delivered. When reached for comments by the media houses, Kenya Army spokesman David Obonyo said he had not seen the report and could comment on it. Another thing that is aiding the importation of illegal sugar through the port according to the report is “strict tariff regime” imposed by the Kenyan government.